The Memorial Candle Program has been designed to help offset the costs associated with the hosting this Tribute Website in perpetuity. 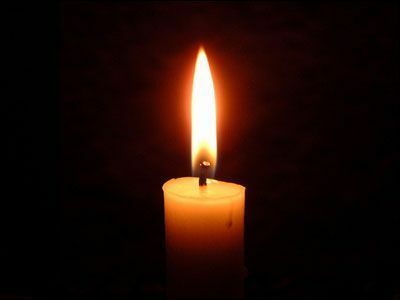 Through the lighting of a memorial candle, your thoughtful gesture will be recorded in the Book of Memories and the proceeds will go directly towards helping ensure that the family and friends of Linda Oberlender can continue to memorialize, re-visit, interact with each other and enhance this tribute for future generations. Condolence: I can imagine the emptiness you must be feeling this New Year without her. May God & time heal your pain, too. Condolence: We only met Linda once but she left the glow of her light behind and we are grateful for that moment. Our sincerest condolences to her very lovely family. Condolence: To Andrea and the Zimble family. I am so terribly sorry to hear of your devastating loss. There are no words that can ease your pain. Please know that we all share in your sadness. Love to all of you. Condolence: Gary, Carol and I were saddened to hear of Linda’s loss to you and the rest of your family. Our thoughts and prayers are with you. May the peace and love of God surround all of you at this difficult time. Condolence: Linda will be missed in The Camden Hunt. She always had a warm smile on her face and thoughtful words to say. She was also so kind to share her artistic talent with so many of us in the Camden Hunt community. May we all find comfort in the happy memories of her. I am thinking of her family at this time. Condolence: We are sad for you, ourselves, and all the many people who knew and loved Linda. She was truly one of a kind. Please accept our sincerest condolences, and we hope that all your special memories will help ease the sorrow you feel now. Condolence: Prayers for God's peace in your hearts. Condolence: Benny and I were truly saddened to hear of the loss of your beloved Linda. We always enjoyed speaking with Linda at BIS and wish we could have known her better Gary , you and your family are in our thoughts and prayers at this time. Again, we are truly sorry for your loss. Condolence: No words can ease the loss you feel but may you find comfort in the thoughts and prayers of friends and family surrounding you. My deepest condolences to you and your family. Condolence: From the deepest corners of our Hearts we want you to know of our deep sorrow for you and your family. Linda was an exceptional human being, mother, wife, and daughter who will be missed by many. We are here for you should you feel the need arise.